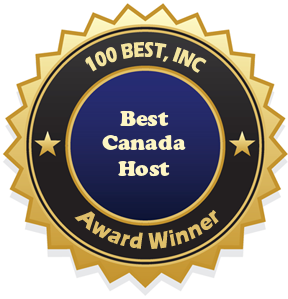 We recently awarded Metric Hosting our Best Canada Host award because they have proven to be one of the best web host providers in all of Canada. In this Metric Hosting review we will tell you a little about all the web hosting services they offer so you can determine if their services are right for your website. One of the things we really love about Metric Hosting is the number of options available. Metric Hosting offers three standard web hosting packages and three large web hosting packages for you to choose from. In addition, they offer you the option of creating a custom web hosting package so that you can pick and choose the exact web hosting features that you want and need for the website you are going to create. Each and every web hosting package includes a FREE domain name! As we were browsing through the feature list of each of the web hosting packages we noticed that non of them say “unlimited” and we thought that was quite interesting, seeing as how “everyone” these days is offering unlimited web hosting. As we dug a little deeper we found that Metric Hosting doesn’t list unlimited on any of their features because they know there is really no such thing, all web host providers have limits on what they can offer, they just list unlimited because they are confident you will stay within the limits of what they can offer. At Metric Hosting they don’t use marketing ploys to make it seem like you are getting something you aren’t, they simply offer what they feel customers will need and use and tell you that up front. Now you may think, well I have never had a website before and I don’t know how much web space I need or how much bandwidth my site will use, that is okay! At Metric Hosting they will give you a free consultation to help you pick the plan that will be the best for your site, or help you create a custom plan if none of the ones they offer are right for your website. Visit Metric Hosting today to see for yourself why we have named them our Best Canada Host! This entry was posted in Uncategorized and tagged best canada host, best web hosting, metric hosting. Bookmark the permalink.